Tang Contemporary Art was established in 1997 in Bangkok, later establishing galleries in Beijing (2006) and most recently Hong Kong (2015). Tang Contemporary Art is fully committed to producing new projects that promote Contemporary Chinese and Asian art regionally and worldwide, and to encourage a dynamic exchange between Asian artists and those abroad. With their largest space in Beijing’s iconic 798 Art District, and as one of the most progressive and critically-driven exhibition spaces in China, the gallery strives to initiate dialogue between artists, curators, collectors and institutions working both locally and internationally. A roster of groundbreaking exhibitions has earned Tang Contemporary Art global recognition, establishing its status as a pioneer in the development of the contemporary art scene in Asia. Recent exhibitions include a February 2015 collaboration with the Bangkok Art & Culture Center on a dual solo exhibition of Huang Yongping and Sakarin Krue-On. 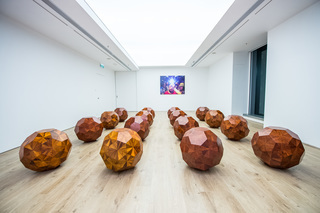 In June 2015, the gallery successfully held Ai Weiwei's first solo exhibition in mainland China, titled "Ai Weiwei", and in October 2015, held his first Hong Kong solo exhibition "Wooden Ball". Tang Contemporary Art’s recent expansion of new gallery spaces in Hong Kong and Bangkok is part of a long term plan to develop their international programming. A new 2,000 sq. ft space in Hong Kong was inaugurated in October 2015, followed by the re-opening of a 3,300 sq. ft. gallery space in Bangkok in September 2016.